The Prince Estate and Legacy Recordings, a division of Sony Music Entertainment, are pleased to announce the next round of physical titles set for release as part of the ongoing and definitive Prince catalogue project. Next up will be Prince's Ultimate Rave on Friday, April 26. A 3-disc bundle of the artist's pivotal new millennium pop party dance music, Ultimate Rave brings together 1999's Rave Un2 the Joy Fantastic and its 2001 remix album Rave In2 the Joy Fantastic, alongside the DVD containing the full-length performance version of Prince In Concert: Rave Un2 the Year 2000, Prince's epic 1999 New Year's Eve party, originally captured for on-demand pay-per-view airing during the dawning of Y2K. Also available on April 26, both Rave Un2 the Joy Fantastic and Rave In2 the Joy Fantastic on vinyl, marking the first ever vinyl release for Rave In2 the Joy Fantastic. Each of the vinyl titles will be pressed on highly collectible, limited edition purple vinyl. First came Rave Un2 the Joy Fantastic, his only album for NPG/Arista (and last released under the unpronounceable "Love Symbol" moniker), a record showcasing Prince's mastery of pop and R&B through a variety of tracks and a surprising range of guest artists including Chuck D, Eve, Gwen Stefani, Ani DiFranco, and Sheryl Crow (Prince even covers Crow's smash hit "Every Day is a Winding Road" on the album). By 2001, Prince had established a groundbreaking internet presence through his NPG Music Club, an online destination site where fans could access new music alongside tracks from the fabled Prince Vault and other rarities. One of the first full-length releases from NPG Music Club was Prince's Rave In2 the Joy Fantastic, a remix and reimagining of his ongoing "Rave" project. 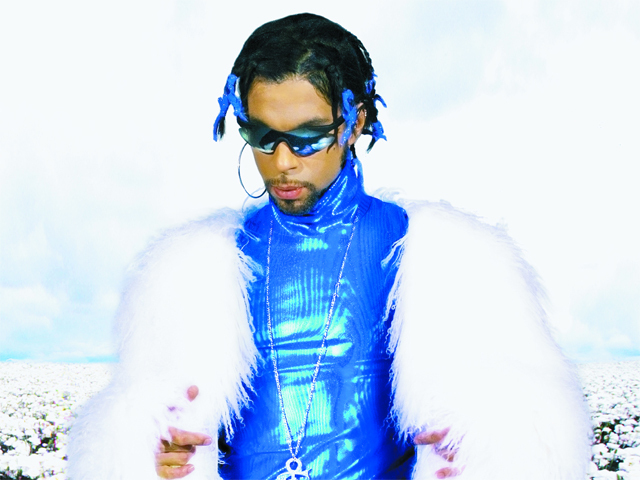 In 1999, Prince promoted the release of Rave Un2 the Joy Fantastic with his iconic pay-per-view special, Prince In Concert: Rave Un2 the Year 2000. Broadcast on New Year's Eve 1999, the special featured guest artists including Morris Day & the Time, Maceo Parker, Larry Graham, George Clinton, and Lenny Kravitz. The DVD of this concert features 23 tracks plus 4 "bonus groovez." Tracks from across Prince's career are featured including hits like "Let's Go Crazy," "Purple Rain," "U Got The Look," "Raspberry Beret," "Gett Off," and "Kiss" and deeper cuts like " She's Always In My Hair," "The Christ," (originally "The Cross" from Sign O' The Times) and "Nothing Compares 2 U" plus songs from Rave Un2 the Joy Fantastic like "Baby Knows" and "The Greatest Romance Ever Sold." Besides this physical re-issue, a broadcast edit of Prince In Concert: Rave Un2 The Year 2000 is slated to air on PBS stations in June. Prince's Ultimate Rave arrives during CELEBRATION 2019 , the ultimate four-day Prince event to be held April 25-28 at Paisley Park, Prince's historic home and recording sanctuary outside Minneapolis. The annual event welcomes Prince fans from around the world into an inspired environment of live music, concert screenings, panel discussions and special presentations highlighting Prince's tremendous talent and cultural impact. Performing artists this year include internationally acclaimed musician, guitarist and original member of The Time, Jesse Johnson; Prince's iconic group The Revolution, featuring Bobby Z, BrownMark, Lisa Coleman, Wendy Melvoin and Matt Fink; and Funk Soldiers, a fifteen-piece supergroup of New Power Generation and Paisley Park musical alumni. To learn more and purchase tickets, please visit this link. 4. Release Yourself - Larry Graham, Prince and NPG "Innerviews"
The Prince Estate passionately presents Prince's life and work, and cultivates opportunities to further his legacy. As the singular, authoritative source on all things Prince, The Prince Estate inspires and educates fans, celebrates Prince in his totality, and stewards Prince's legacy into the future.